We received wonderful news from the New Brunswick Wildlife Trust Fund that we would once again be funded again this year and for $20,000 for our salmon conservation work on the Big Salmon River in St.Martins, NB. We have been able to continue this work for 15 years and without the help of the NBWTF, this would not be possible. 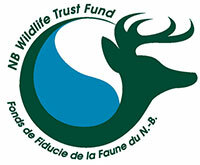 The Wildlife Trust Fund obtains a portion of its revenue from the purchase of conservation plates by New Brunswick residents who are interested in conservation. Seven Dollars from each conservation plate purchase goes into that fund annually. These funds are awarded to projects such as ours by the Minister of Natural Resources following review and recommendation by an independent board of 17 volunteers. 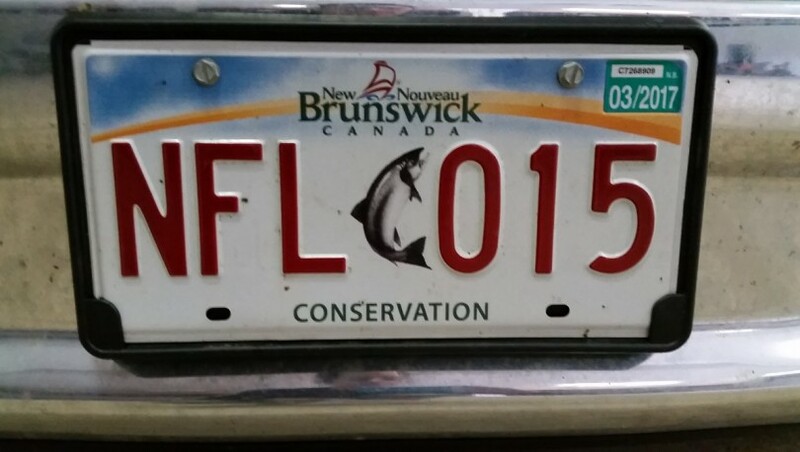 Revenue from license plates is critical in furthering conservation efforts in our province so please consider purchasing conservation plates with your next car purchase to enable the NB Wildlife Trust Fund to continue to provide financial support for the worthy wildlife projects. Seen in the featured image is one of our conservation plates from one of our work trucks. We currently have 6 work vehicles all with conservation plates. Every effort, no matter how small, can go a long way!